Join the Unified Scene Mailing List! We are counting the days before we hit Toronto for our four night stand at The Horseshoe Tavern! Toronto is one of our absolute favorite cities to play, and the (Legendary) Horseshoe Tavern has hosted some classic THS shows. These will be no exception, to be sure. Night one, Wednesday September 12, we will be paying tribute to the 10th anniversary of Stay Positive by playing the album in full, as well as a bunch of jams from all the other albums. So come raise a toast to 10 years of Stay Positive with us and hear a few that we don’t pull out very often…. 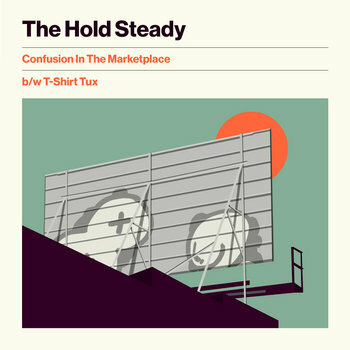 It won’t all be looking backwards though, as we are pleased to announce some new songs: “Confusion in the Marketplace” and “T-Shirt Tux”. These were recorded in May at The Isokon in Woodstock NY. These were the same sessions where we recorded “The Stove & The Toaster” and “Star 18”. Josh Kaufman produced and Dan Goodwin engineered and mixed. We had a blast making these and hope you enjoy hearing them. We hope to play them for you in Toronto for their live debut. If you choose to download these two songs, a donation will be made to benefit the K+L Guardian Foundation. ALL monies received from downloads will be transferred to the K+L Guardian Foundation. The K+L Guardian Foundation was formed to benefit "Jersey" Mike Van Jura's children after he suddenly passed away in November 2012 at only 36 years of age. Jersey Mike was the unofficial leader of The Unified Scene. Thanks for Listening. Thanks for Understanding. Constructive Summer Tour Merch & Stay Positive vinyl!